Here at Calibre, we’ve chronicled how for the past several years, TUDOR has been looking back into their own past to pouring over their over-70-years of history. 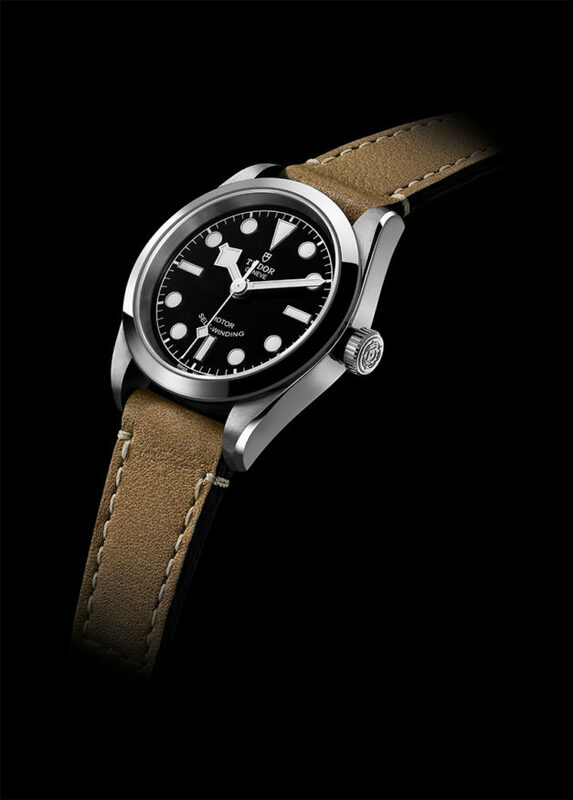 How this has resulted in ‘tool watches’ such as 2012’s TUDOR Heritage Black Bay collection, which, while being indelibly linked to the history of the brand does not reference any particular historic model. 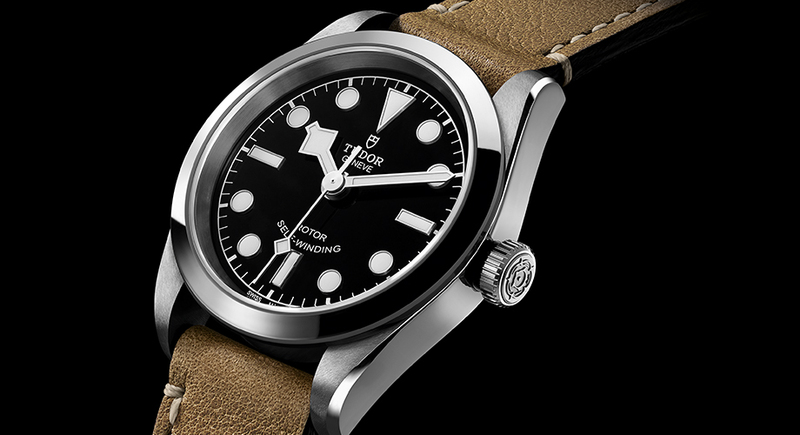 Instead, TUDOR’s Black Bay re-issue is meant to encompass the best of the watchmaker’s emblematic divers’ watches, which TUDOR has over 60 years of experience with. This year saw the Black Bay become the center of attention all over again with two sensational GMTs, as well as updates to both the Black Bay Fifty-Eight and Black Bay S&G lines. 2018 also saw the launch of a brand new collection of watches aimed at first-time buyers in the TUDOR 1926. Available in four sizes: 41mm, 29mm, 36mm, and 28mm, the TUDOR 1926 is an especially stylish daily wearer designed for BOTH men and women. Indeed, like other watchmakers, TUDOR has slowly come to the realization that women are, in fact, a previously untapped market, one that has a potential for massive growth. 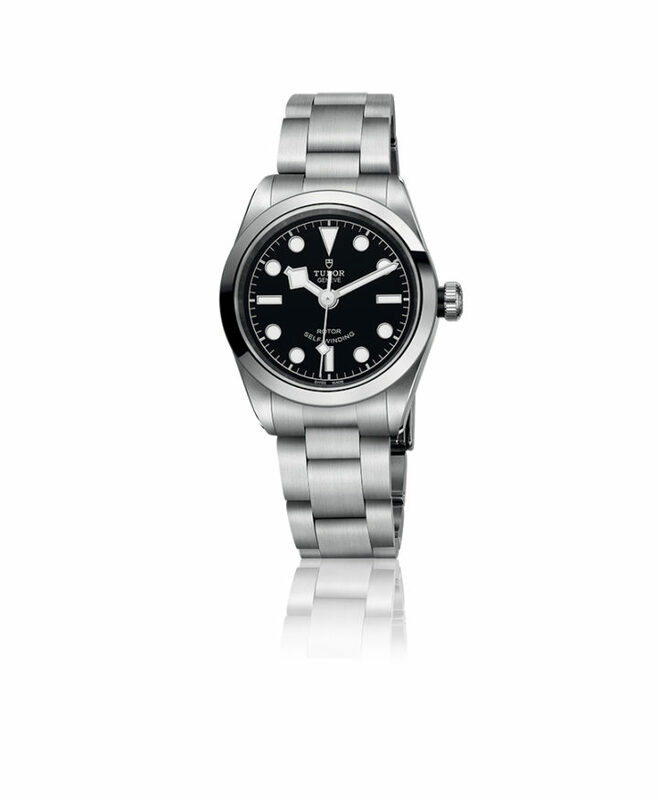 Which is why TUDOR is expanding the Black Bay range even further with the addition of a new 32mm feminine version that slots in perfectly with the range’s existing 36 and 41mm models. 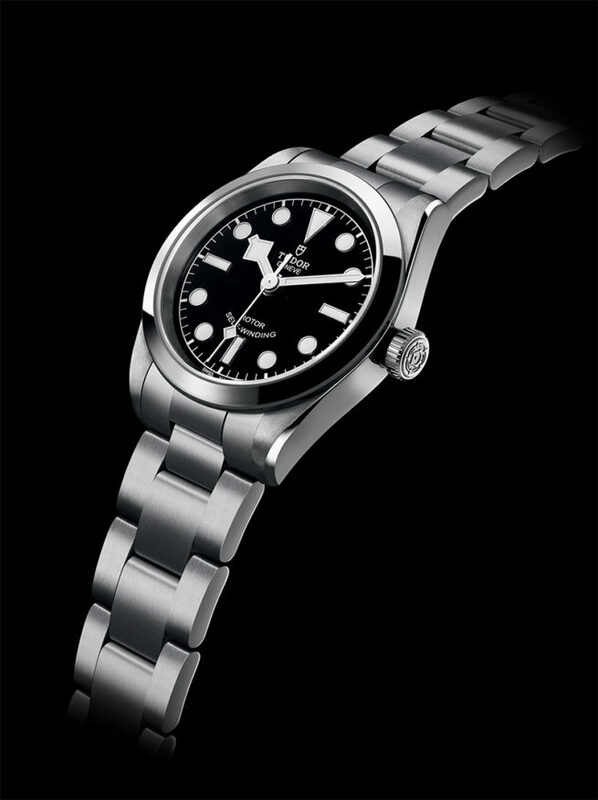 Targeting young, dynamic women who don’t equate femininity with the typical trappings of diamonds and flowers, the new Black Bay 32 packs the same technical and mechanical punch as its larger 41 and 36mm brothers albeit in a smaller and more feminine diameter. And that’s not all. TUDOR has been offering a blue dial color in its collections since the 1960s. So, in another nod to the brand’s history, the dials of Black Bay 41, Black Bay 36, as well as, the new Black Bay 32 will be available with a blue dial color in conjunction with the standard classic black. Meticulously lacquered to perfection, this new blue dial captures the light in a spectrum that transitions from a vivid electric blue to a navy so deep it almost looks black. Indeed, with its outstanding contrast and clarity, this new blue shade is perfectly in keeping with the range’s original “tool watch” vocation, which, fashion concessions aside, only make the large and luminescent round, rectangular and triangular hour markers stand out even more. 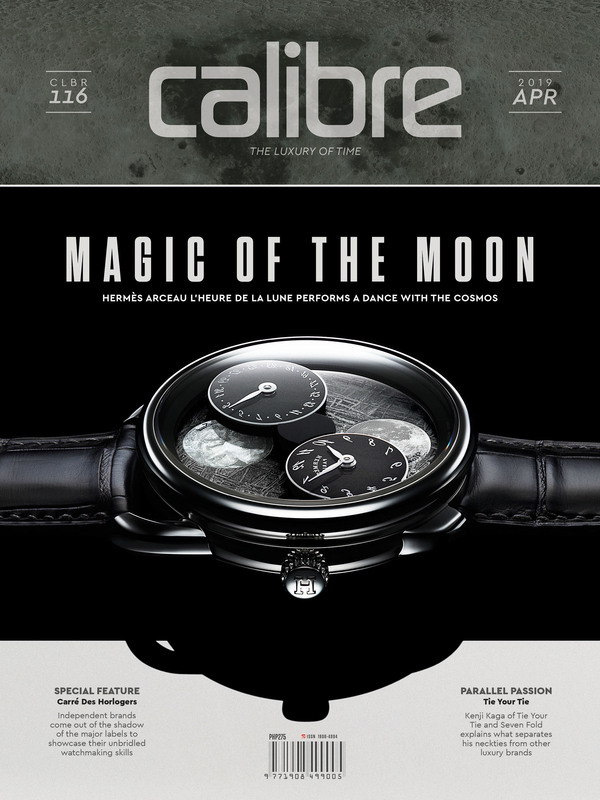 Inside the three models is the self-winding ETA Calibre 2824, which has been in production since 1982. This tireless beast of burden will keep the hours, minutes and seconds ticking in stringent compliance to Hans Wilsdorf’s strict parameters of quality and dependability. Last but definitely not least, the Black Bay 41, 36, and 32 make the most of their vocation to withstand the most extreme conditions by being matched with a steel bracelet or a robust brown leather strap with a folding clasp and safety catch. 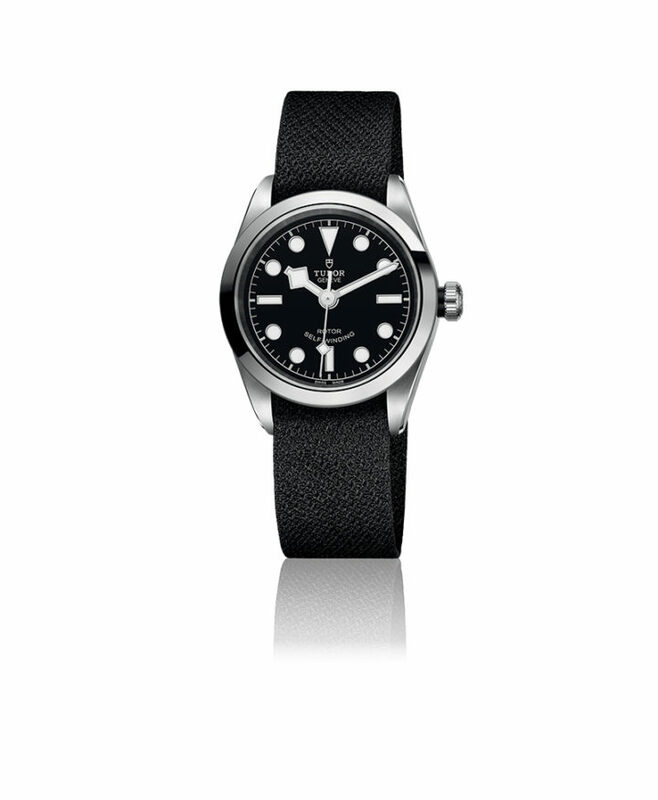 But it’s the optional black fabric strap that truly stands out. Looking somewhat like a traditional NATO nylon strap, the black fabric strap is, in fact, a hand-woven strap made by a traditional 150-year-old passementerie family firm from the St-Etienne region of France still practicing Jacquard weaving. The result is a black woven strap that elevates all that is matched to it.